This machine vibrates in high frequency and low amplitude, making it perfect for a multiple of purposes. 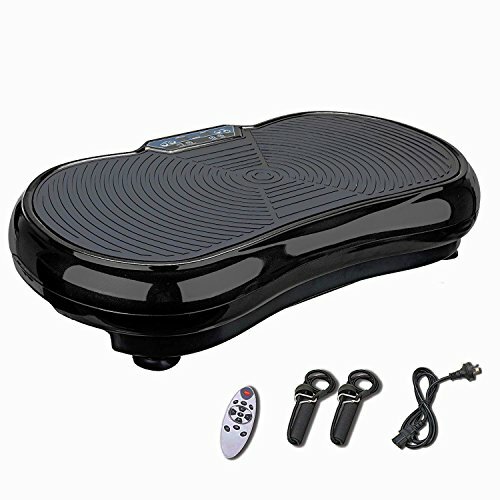 - This crazy-fit vibration machine will help you lose weight while increasing your body flexibility. - It helps your body process fat 30 times faster than running. - Simply use the machine for 10 minutes every day. - It will not only promote blood circulation, fat loss and increased coordination, but it will also help with releasing backache as it decompresses the spine. - The reflex of contracting your muscles is the most basic, unconscious movement of any human being, starting at birth. - All motor functions of the human body rely upon this innate movement, making it essential to work with. - This vibration machine helps in maintaining these reflex reactions, thus burning calories and fat. - With two resistance bands, you can use the vibration plate in various positions to exercise all of your muscle groups. - It can help improve balance for those who have less flexible legs and it can restore lost motor function.